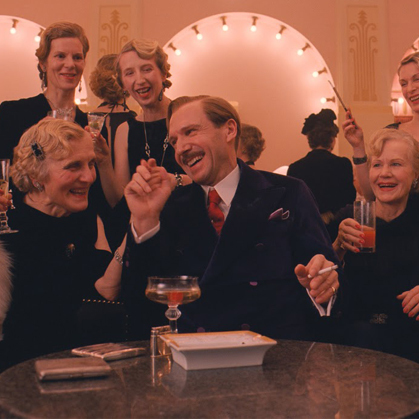 The restaurant has hosted Zubrowka's elite in the 50 years since its construction. Tuiles made from anchovy paste and caramelized lingonberries are the staple of The Grand Alpine Restaurant, but friends of the heartier Zubrowkan cuisine will not be disappointed. The bison jus with quenelles of bone marrow on crème d’Alsace are chef Dimitri Jodolenko's speciality, and only surpassed by the fabulous Kaiserschmarn served on a reduction of cherries and charred rose petals. Residents and guests alike head to the Lutz Lux Cocktail Bar for its rich décor and sumptuous, at times decadent, interior. Famed for the Lutz Lux Jawbreaker cocktail, more delicate palates may want to choose from a list of spa waters, served in ice glasses made from the glaciers of the Zubrowka mountains. The recently refurbished Rococo Chaise Longue at the heart of the bar is a personal favorite of the Manager. The eleven deep springs have drawn flocks and throngs to the Nebelsbad Colonade; but it was the Arabian Baths, innovative, medicinal, luxuriant, which first called attention to a great institution. The popularity of the Budapest’s Arabian Baths is largely due to the wide temperature-range of the waters- 15° to 45° Centigrade. Van Hoytl's exquisite portrayal of a young boy on the cusp of manhood. The identity of the sitter has never been established. Van Hoytl, native son of the Murkish Low-lands, worked his bright pigments in slowest solitude. Remarked especially for his light and shade; and his attraction to the lustrous and the velvety. Extremely unprolific and therefore a financial failure, he nevertheless produced perhaps a dozen of the finest portraits of the period. 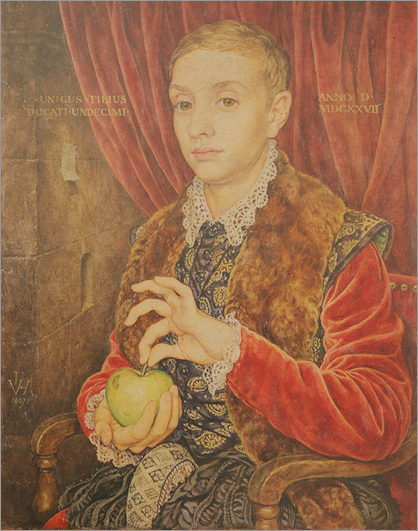 The theft of Van Hoytl's "Boy with Apple", an especially prized piece, garnered extensive attention in the papers.